It is a fact that people who are using Joomla! are loving it, but there is always one small thing that keeps in mind. What about security ? How can we secure Joomla!? There are different ways what you can do to keep your Joomla! installation secure. But a big thing is that hackers / spammers know that we are using Joomla! ( they look it up in the html source etc... ). What if there was a component that was changing the links ( requests ) and creating totally different links for you. So if the hacker/spammer opens up the html source he won't see directly if it is a Joomla! website or not. Of course there are different ways to see if it is Joomla! or not. small example is: browsing to the index.php?option=com_users URL. 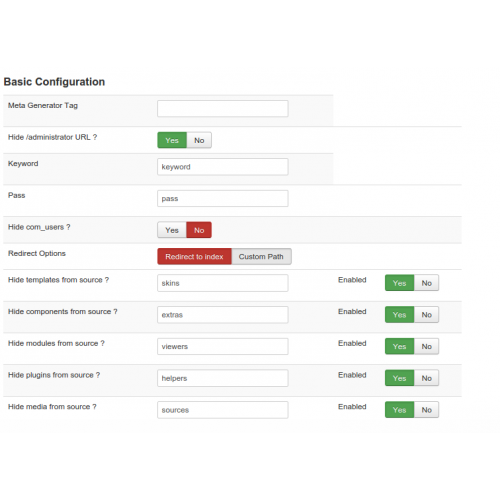 This will show the users component of Joomla!. Or most of the spammers are trying by writing /administrator to the end of the website URL. 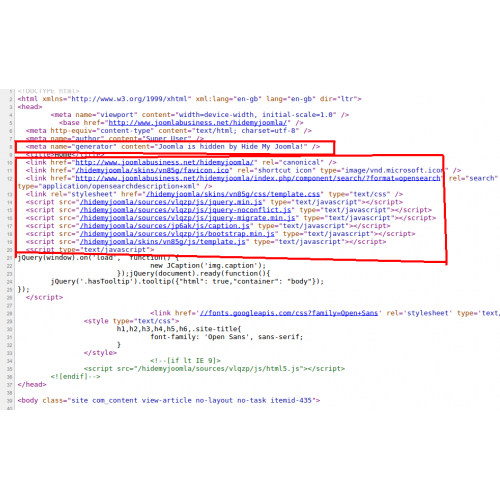 Or the famous Meta Generator tag ( which can be viewed by the html source ) is showing that some website is using Joomla!. So why are you waiting ? Start using Hide My Joomla! and get rid of all these problems. Hide My Joomla! will Delete or change the Meta Generator tag. Will hide the /administrator URL so you will have to enter a keyword/pass to enter the backend ( ex: /administrator/?keyword=pass , keyword / pass is configurable). If someone is trying to browse to /administrator it will redirect to the index.php or you can redirect him to another file on your website. It can hide the com_users, so hacker can't browse to the /index.php?option=com_users URL. With Hide My Joomla! you can configure what link you want to use for which folder. All these folders are configurable and it's up to you whether you want to hide them or not. Hackers are upping their attacks against CMS systems. 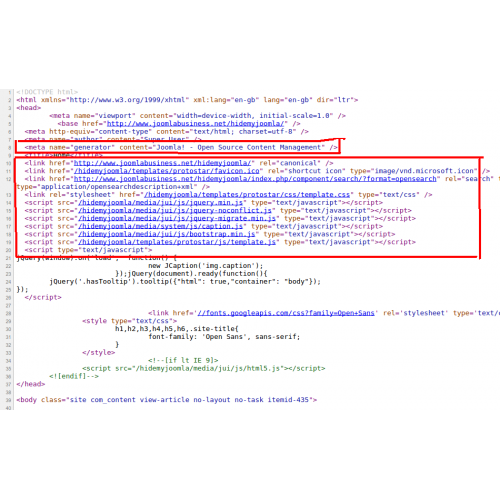 "Trend Micro" warned that there are thousands of compromised sites based on CMS systems which are being used as part of a spamming botnet called StealRat. Earlier this year, "Arbor Networks" reported on the 25,000 machine-strong Fort Disco botnet, which was being used to brute force Joomla CMSs. But if hackers, spammers, machines and/or visitors couldn't reach your /administrator or could know that you are using Joomla! by looking at the source code, these numbers could decrease.